This entry was posted in Travel and tagged Chichen Itza, El Castillo, Mayan calendar. Bookmark the permalink. Sounds like an amazing but dangerous place. If the winning team captain is decapitated what happens to the losers? By my way of thinking, the team with the longest losing streak wins! Chichen Itza is a fascinating place, and one of the highlights of my travels. Thanks for sharing! It is amazing to think that many centuries ago civilizations were walking our planet before us. It looks to me that there were bigger civilizations than we thought. If that’s the case then they must were more advanced than we actually know about them. More discoveries will let us know them better. 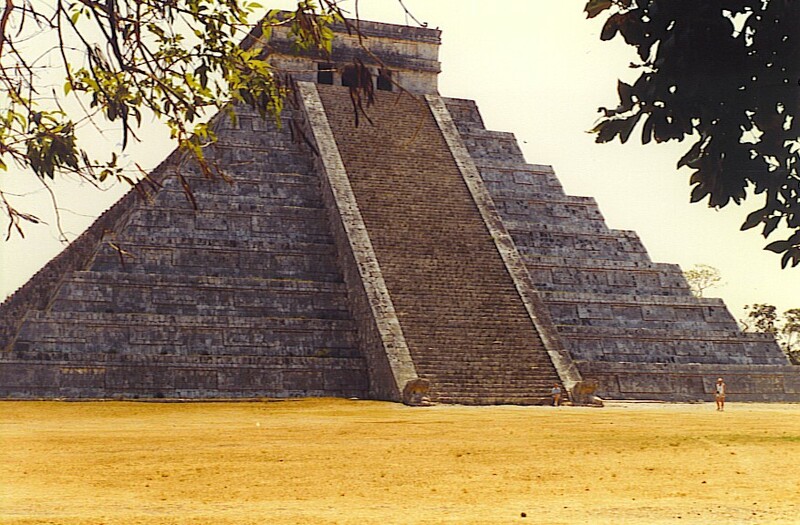 I want to share with you this music about the mystical place Chichen-Itza. The message of that music is about a CHANGE all humans must do in order to live in peace and harmony. Maybe that’s the message ancient civilizations wanted us to know. In Lak’Ech. Peace from Mexico. Thanks for sending this. The music and images help to convey the mysterious nature of Chichen Itza. The stone carvings that decorate so many of the buildings are incredible, and as you mention above, were done a very long time ago!